We carry a beautiful selection of uniquely crafted jewellery, and if you already have the perfect ring in mind but can’t find it, simply send us a picture, from a magazine, sketch or the Internet. We will turn your dream into reality. 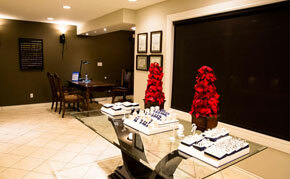 Custom design consultations are scheduled by appointment only.